Today’s quote is part of Sir Richard Branson’s Top 10 Quotes on ideas. Thanks, Sir Richard for the inspirational quotes. We went through an exercise trying to think about ways that we as a company can move forward, move fast more effectively. What ideas could we come up with in 3 minutes by asking ourselves What if? The important part was to not judge what we were saying or what our ideas were. What If we could do this and this would happen? What if we did this and then this and this team would be able to do that? Each person went through this exercise in the three minutes time to get these ideas out. Once we wrote out our What If’s in the 3 minutes, we had to stop. We broke up into groups of 4-5 people then we each read one What If out loud to the others. Each person would read a What if, then the others were only allowed to say one of three things. Plus 1 – if they thought of the same thing. Plus Love – if they Really LOVED the idea and supported it. I’m Good, if they were out of ideas to share. This went on through the lists. It is amazing what ideas were thought of that we all thought Plus Love. These were ideas that we could then take further. Did we LOVE the Idea – If yes, move to the next question. If no, the idea was out! Does the idea meet business needs? If it won’t help the business, then the idea was out. All of the exercises allowed us to bring out IDEAS using these tools. What ideas have had that could help you, your business, your career, etc.? How do you go about creating ideas? Think about how and what you can Ideate, Create, Innovate in your life. 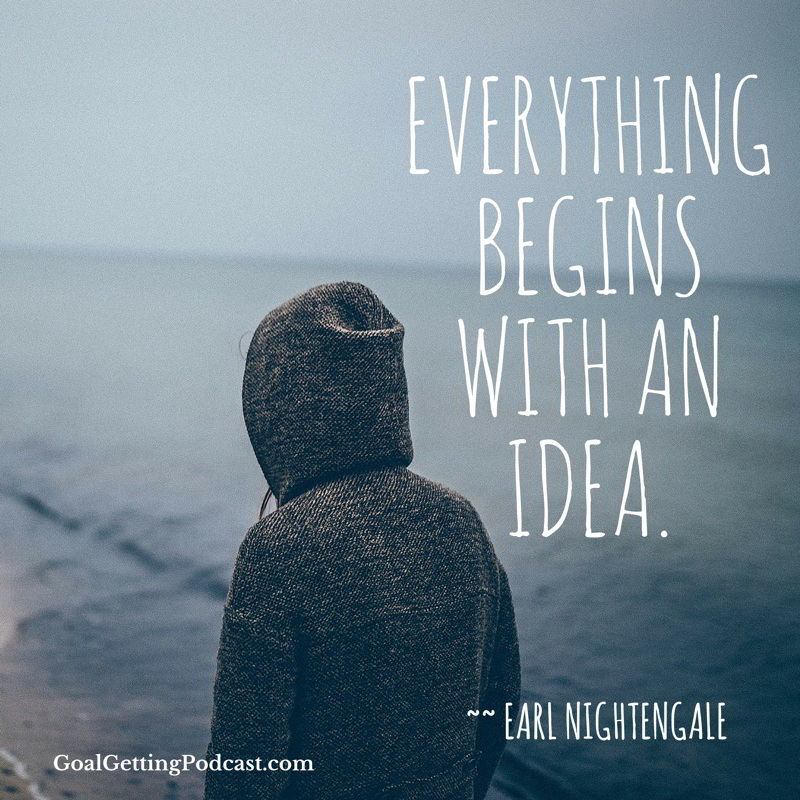 Thank you for listening to Goal Getting Quote of the Day! I appreciate you coming back and listening.